The news guy just shoved a microphone in front of your face. 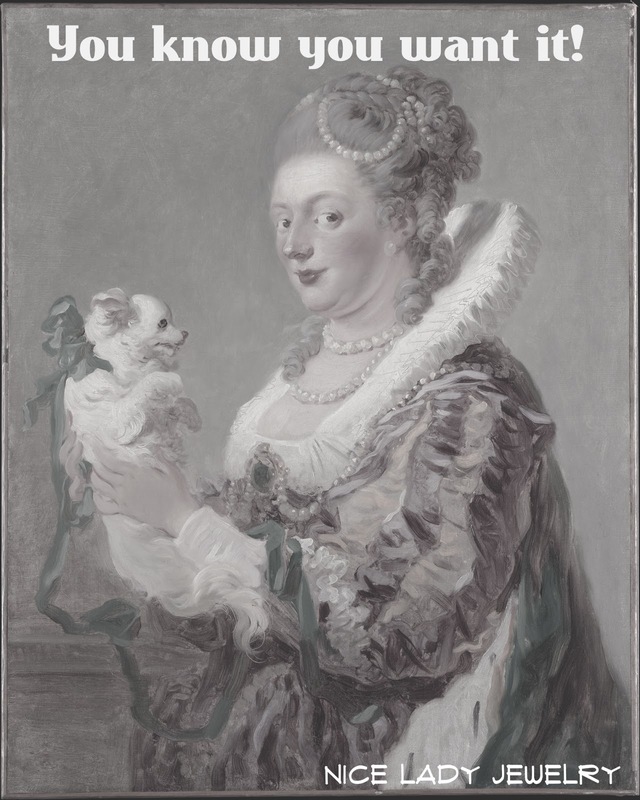 "Okay, lady. Say something about your jewelry business," he says. "You have 10 seconds before the next commercial." The big question: Can you think of a 10-second something that sums up what you do? Forget about the microphone. If you can think of a really great thing to say about you or your jewelry under any circumstances, you should make that your tagline. 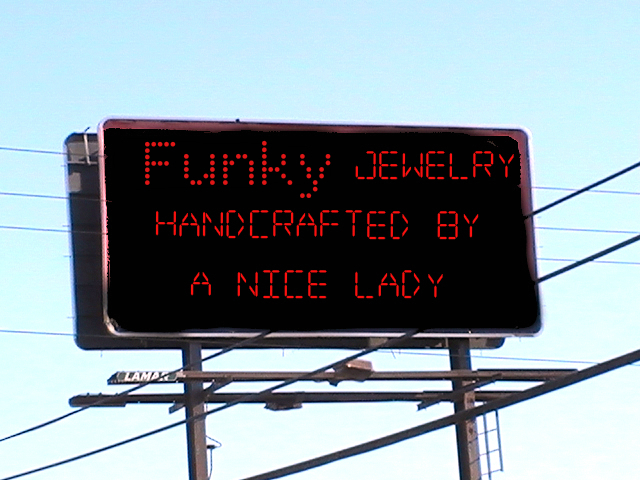 If you can't think of a concise, catchy phrase that sums up you, your jewelry, or your jewelry business, get busy. A tagline is a phrase, a slogan, or a brief description of your product or business. It's a positive blurb that makes your target customer remember you. Coke marketers were using catchy taglines long before any of us were born. The Ad Age article "130 Year of Coke Taglines" has the complete list. The most recent tagline is, "Taste the feeling." I bet you can talk on and on (yawn) about our jewelry, how pretty it is, your unique process and, oh the stones.... But what if you really only had 10 seconds to say something memorable during that flash of time when your potential customer enters--and possibly exits--your craft show booth. 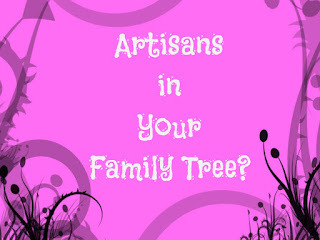 And what about that person who clicks the link to your Etsy or Handmade at Amazon store? Current wisdom holds that web customers are stingy with their time. Your site has 15 seconds to make a good impression before a customer moves on to the next site. 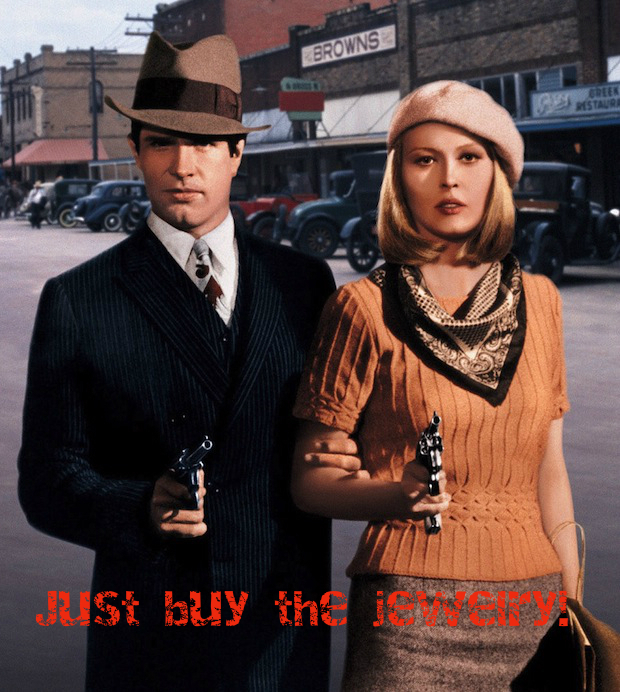 Give them a good tagline and maybe they will feel entertained enough to look at your jewelry. So, it's not easy to think up a tagline but do it anyway. And what about your tagline, Nice Lady? 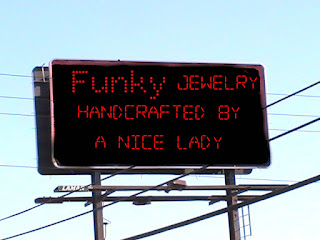 I've used the same tagline for about 20 years, "Beautiful jewelry handcrafted by a nice lady." People love it. They say things like, "Aww..., your jewelry is beautiful and you are a nice lady." Strangers in a crowd remember me from my art shows and call out, "Hey, Nice Lady." Others come to my booth to show me they are wearing my "beautiful jewelry." 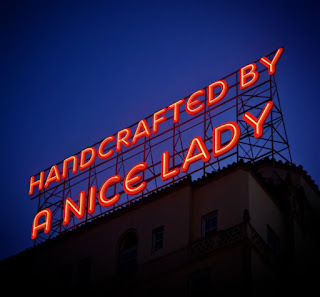 My tagline worked for me, but It was too long so I shrunk it to "Handcrafted by a Nice Lady." My focus is a little different these days. 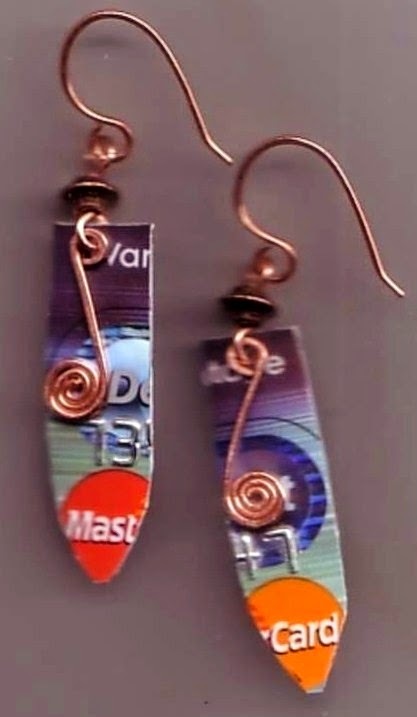 I'm still doing beautiful jewelry, but I'm focusing more on my FUNKY styles. I'll let you know when I decide my new tagline.